Thanks for sharing the comic strip and the article. Great work. 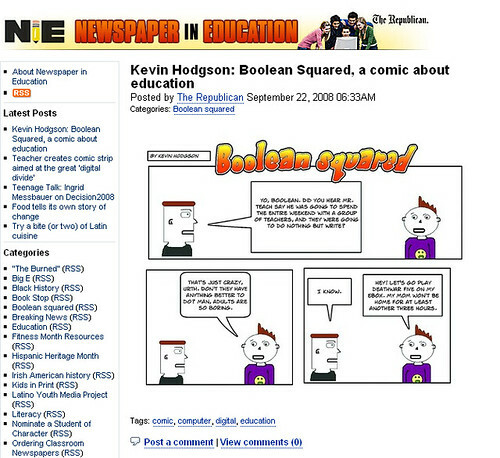 MrsC — I often use ToonDoo (http://www.toondoo.com/Home.do) but for kids, a great and easy site is called MakeBeliefs Comics (http://www.makebeliefscomix.com/).